If you want the people who matter to connect and interact with your business, you need great content, whether for website, marketing collateral, webinars or trade press. If you’ve seen marketing communications from the major suppliers you’ll probably have read some of the white papers, reports and reviews we’ve written. And we regularly produce blogs, webinars and videos for our customers. "Over the last 12 months the Printfuture team has produced interesting and original content on a wide range of subjects to support Ricoh Production Print's thought leadership programme. We've found Neil and the team to be reliable and also - important to us - flexible and accommodating to our changing needs." With everyone pushed for time, do you find it more and more difficult to persuade customers to attend your events? We’ve got a history of organising events that are well attended and well received. Our secret? We can organise the whole event or simply provide speakers or a facilitator. And we’ll guarantee you’ll get a great opportunity to build stronger links with customers or to leave your staff inspired and full of confidence. With experience of innovation process and strategy planning for major brands in the printing, publishing and packaging sectors, we design our workshops to meet your objectives. We provide inspirational content and lead creative strategy and planning sessions. We also develop highly targeted brainstorming and ideation sessions, capture outputs and create road maps. 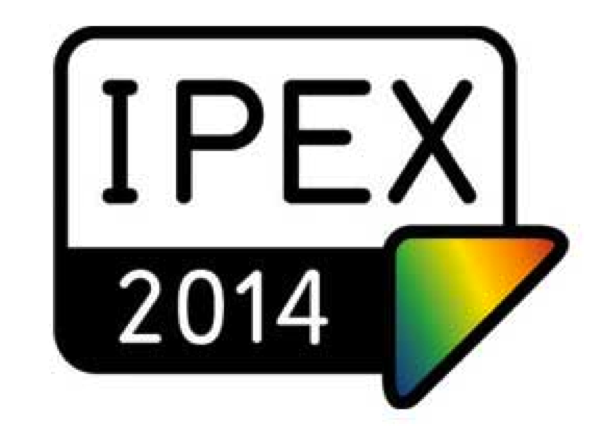 Printfuture run the IPEX Masterclasses for Informa. A perfect complement to the exhibits on the show floor, the Ipex Masterclasses will provide visitors with information and inspiration and tools and techniques to run their businesses better. The Ipex Masterclasses will equip attendees with ideas and insight to enable them to produce and promote print and related products and services that deliver their customers' messages in a compelling, cost-effective, and sustainable manner. Crucially the aim is to help printers maximise profitability. This will be a two-pronged approach encompassing sales & marketing and operations, production and technology. Sales and marketing content will show how to win clients and keep them coming back in the core business and also assess and leverage new markets and opportunities. Operations, production and technology sessions will highlight improving efficiency, increasing quality and adding new products, services and market sectors through understanding the latest developments in tools and technologies spanning software, hardware and materials. Content will include case studies from printer peers who lead in their fields, research and expert opinion from across the print supply chain. Presentations will be punchy and thought provoking with panel debate and interaction from the floor a crucial component. Printfuture organized the content programme and recruited speakers for 2 theatres, 48 sessions and 6 panel debates over the 6 days of the IPEX show. Notice how a good keynote speaker really brings a conference alive? If you’ve been to as many events as we have you’ll know that a good speaker doesn’t just need to know their stuff, they also need to be unafraid to express strong opinions and challenge the audience. That’s what you get from Printfuture. In fact, if you’ve been to a major print conference anywhere in the last decade you’ve probably listened to members of the Print Tribe – people like industry expert Neil Falconer. In 2013 he presented in 14 countries on five continents. Watch selected keynote videos, see our upcoming speaking engagements or find out more about booking a speaker for your next event. Whether you’re a printer or a supplier, you’ve probably attended too many training events that just go through the motions. Our training is different; it’s all about engaging and inspiring your delegates. As a supplier, perhaps your biggest challenge is giving your staff the know-how and confidence to engage actively with customers so they can become genuine partners. To do this, you can choose from a selection of our tried and tested programmes, or we can customise the content to meet your objectives. Printfuture devised a series of practical training modules for a series of regional workshops in the UK and Finland. The objective is to help printers grow their business in a rapidly changing marketplace. The target audience are owners / directors of SME commercial printing companies. The key focus areas of the training cover business planning, production efficiency, sales and business development, and adding new services. The content includes innovative customer case studies, scenario planning and development of good business practice. 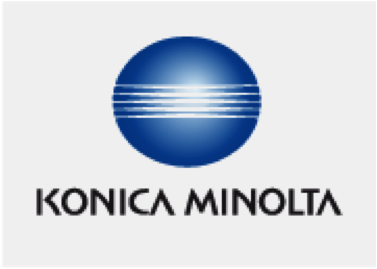 The workshops were designed to support Konica Minolta’s successful Digital 1234 initiatives, which Printfuture made a major contribution to. It’s all too easy for a successful sale to be undermined by poor implementation and suppliers often get the blame. Giving your customer help on technical or business issues can change a crisis into a success. But it often needs the kind of frank talking that only an independent specialist like Printfuture can do. The Print Tribe has worked successfully across the EU, North America, BRIC and Asia Pacific regions – giving us a unique understanding of regional differences, printer demographics and technology deployment. A major workflow supplier was disappointed with customer feedback and asked us to investigate. We found that their software package was excellent, offering printers considerable potential for cost savings through automation. The problem was that most had simply bolted the package onto existing systems and processes and had delegated implementation to prepress staff. They in turn had not been engaged effectively in the investment assessment and were unlikely to maximise its potential given the likely impact on their income and job security. The solution was quite modest changes to the sales process and more active post-sales implementation support. Printfuture’s expert interview and advisory service gives you the opportunity to talk in confidence to our independent specialists on topics including market dynamics, vertical and horizontal trends, technology developments and strategy orientation. This gives you immediate, cost-effective, high-value feedback.